After an appeals court reduced his sentence from 5 to 1 year in jail, Behery wrote ‘Egypt is a land of injustice’ on his Facebook page. Egyptian authorities put TV host Islam Behery in prison late on Monday after a court reduced an earlier five-year sentence against him over charges of “contempt of religion” to one year in connection with the content of his now-suspended TV programme. Behery received the five-year sentence in May. He had been out on an LE50,000 bail. In June, he was acquitted in a separate case on similar charges. Following the announcement of his one-year jail verdict, he was handcuffed and transferred to the Tora Prison compound in South Cairo to serve his sentence. Behery, an Islamic researcher, stirred controversy by providing his understanding of Islamic doctrine and questioning the credibility of some the sources of Prophet Muhammad's sayings, a prime source of Islamic jurisprudence. 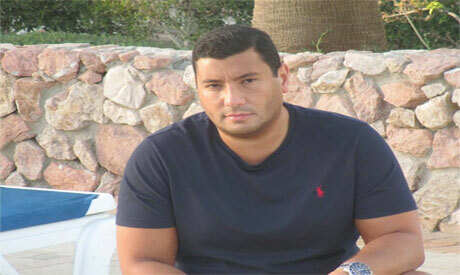 "I was sentenced to a year in jail...Egypt is a land of injustice," Behery wrote on his Facebook profile late on Monday. The verdict can still be appealed. Behery said in TV comments late on Monday that the sentence "violates and undermines the law." "Many thanks to President Abdel-Fattah El-Sisi and his religious revolution...I am thankful for freedom of expression in Egypt," Behery added, in a sarcastic tone, in reference to the president's repetitive calls to fight extremism and extremist Islamic teachings. Behery has repeatedly argued that he only aims to contribute to the renewal of religious discourse in order to protect the soul of Islamic theology from dangers presented by ultra-conservative jihadist interpretations. The program, With Islam, which aired on the private Al-Kahera wal Nas satellite channel for over a year, was suspended late in April following widespread criticism and calls for its cancellation. Egypt's Al-Azhar, the highest seat of Sunni Islam, had also demanded the show's suspension saying it entailed a "fierce campaign" against the foundations of Islam and Islamic legacy. This is not only a step backwards in progress to freedom of speech and freedom of religion, it is an outright attack on anyone who challanges the blatantly misguided teaching of salafist and the authority of Al-Azhar. Neither of which represent me or represents Islam in general. Al-Azar is a respected Sunni institution. But I was taught that in Islam there are no priests to dictate dogma. How can someone be charged with blasphemy when ones relationship with God is between the individual and God. I thought also that it was haram to tell someone that their actions displeased God because no human knows what God wants and it is wrong to invest God with human emotions. Am I wrong? If so, please tell me why? Good comments, sir. I agree with all that you said, entirely. But imagine this. If humans, from the dawn of the human race, did not invest God with human emotions, would they ever have had a God? All humans then would be, well, normal humans that communicated with one another with full sanity, without needing a distant reference point. If you open up some of the books, all that you see is God's anger and his great desire to punish the humans for thinking aloud anything and everything. Alas, the punishing God sides with the people in authority for some reason.